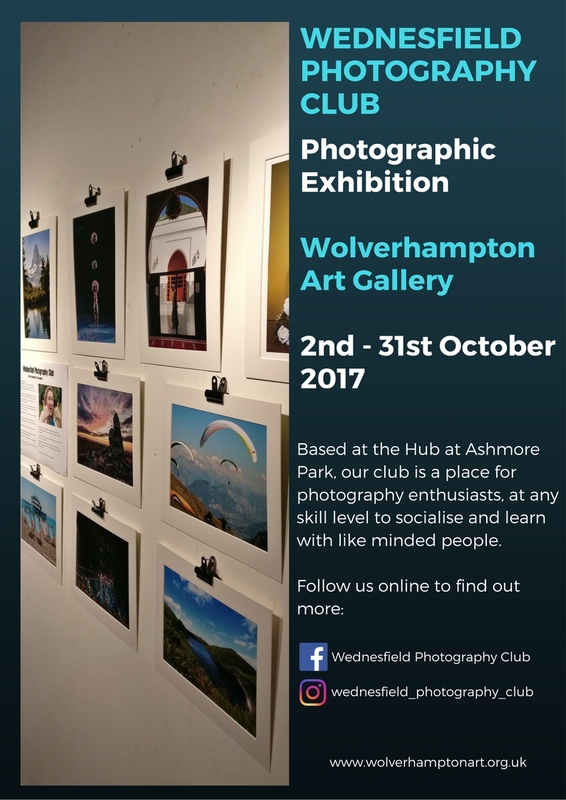 Wednesfield Photography Club are holding their first ever exhibition throughout October, featuring photos by members of the club which was founded by WV11 co-founder Steph Clarke in 2015 and meets fortnightly at The Hub at Ashmore Park. Since it’s formation, the club has attracted over 30 regular members to their meetings from all over Birmingham and the Black Country. Sessions are run by club members who share their knowledge and experience with others, encouraging a collaborative learning approach to photography. The club’s ethos is all about taking pictures, not how good, new or expensive your camera is and this encourages people of all skills and abilities to attend and improve their photography together. As well as meetings and training sessions, regular photo walks are organised giving members the opportunity to shoot in a wide variety of locations. “All of the pictures featured in this exhibition have been taken by members of the club and there are shots from all over the world, as well as closer to home in Wolverhampton. “We wanted to give everyone a chance to show an image they were proud of, regardless of whether they are an experienced photographer or someone who is new to photography – we think they all look fantastic! The exhibition runs throughout October and the club is planning to hold a follow-up exhibition in Wednesfield in the near future. For more information search visit Wednesfield Photography Club on Facebook, or follow the club’s Instagram account @wednesfield_photograpy_club.